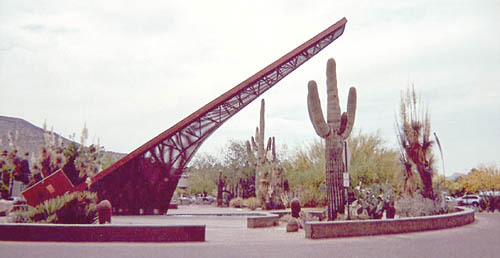 Another contender for largest sundial in the western hemisphere—the sundial in Carefree, Arizona. It was built in 1959 in honor of K.T. Palmer, the founder of the town, and is 72 feet long and 35 feet high. More info here and here.